The main objective of doing in-house the project is students get idea of the PCB designing process,PCB drilling machine, Etching Machine, Heavy Drilling machine, Copper Plates,Hand Drill,General purpose Board of different size, Soldering Gun, Desoldering Pump, Solder wire, Thineer etc. available in each partition along with a PC. Simulation Software and PCB designing Software Eagle is also installed on each PC. 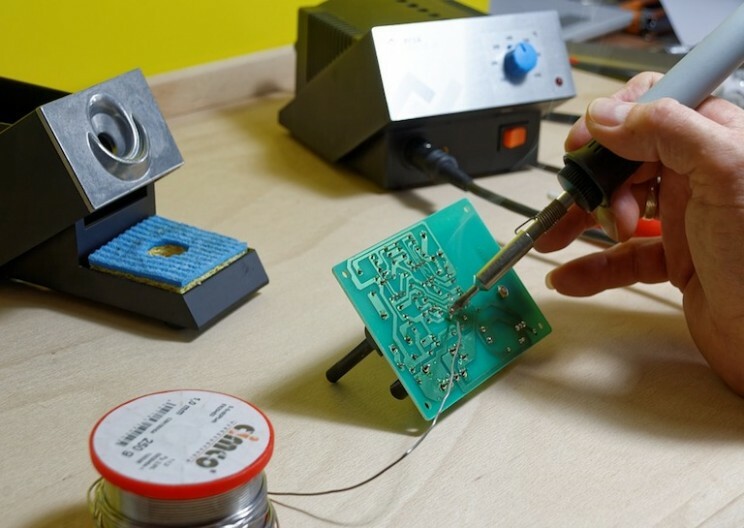 Projects are based on Analog, Digital and Microcontroller. 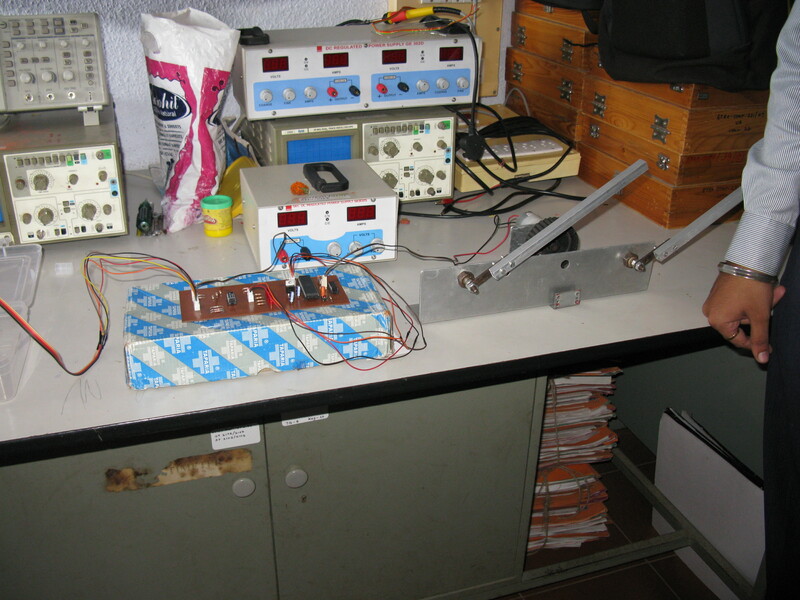 A set of Function Generator, Desk Top Multimeters Dual Power Supply, Wires, Cutters per group are available for testing of the projects. 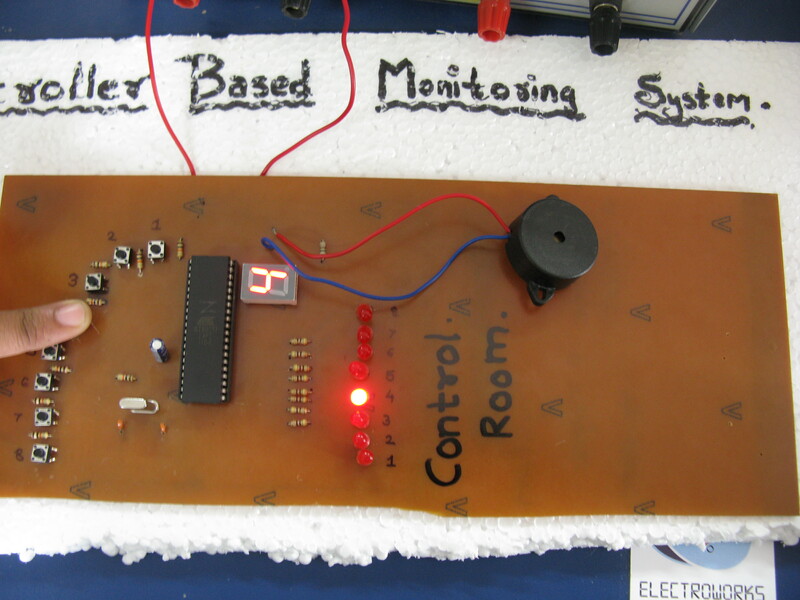 Projects are of divided into three parts Analog Project, Digital Projects and Microcontroller based Projects. 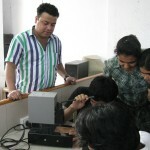 Components required for the projects are provided as per the students requisition. Final year students of Electronics engineering students use the laboratory facility for development of interdisciplinary projects. Copyright © 2019 Department of Electronics Engineering.